Can't be doing with this Xmas nonsense and thanks to global warming, I have ridden on Xmas day every year for a while. I started after my mother went into a care home, going to see her. I have continued the tradition even though she died in 2013. This year, rather than the usual venture over to Wales, I did a familiar lap of the Cotswolds. I was surprised how busy the roads were outside town. As ever, there was a bus of SE Asian tourists at Bibury. It's a great loop from Cheltenham. Annoyingly, some inconsiderate person has put much of it in a submission to MCN and they published it recently. The best bit is the return to Cheltenham from Perrott's Brook to Seven Springs. Bourton on the water my favourite spot for a pit stop up that way! Hi Wessie, I’m from Worcester and your route sounds very much like the one me and my buddy frequently do, Burford for breakfast and a bit of Japanese tourist watching, then Chipping Norton for a sticky bun at the book shop then home via Stratford. Nice one wessie, sounds a great reason for a ride. 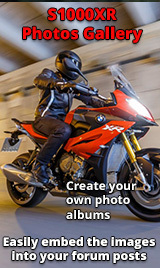 I always do a ride between Xmas and new year and am planning to head out on Friday. Either down into the Cotswolds, or up derby way. 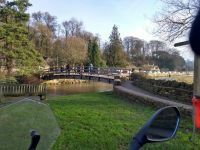 this is the route I do most often https://goo.gl/maps/jnB6S1Y6bC22 with a stop in Bibury for a coffee at the Trout Farm or ice cream from the van. Note the detours to avoid Cheltenham, Burford and Cirencester. The Jet Age museum would be a good meeting point. You can arrive early and enjoy the museum plus there is a café. Branch of J&S next door as well as a used bike dealer for added interest. On really cold days I might only get as far as Stow (or Bourton) before heading back to Cheltenham via Andoversford as they are decent roads. Nice. If memory serves the B4077 is a good road, twisty and up hill (or down depending on which way one is heading). Find the A429 from bourton to Cirencester a bit dull, just a means to get to better roads. Have never tried the A435 though. Must give it a whirl some time. 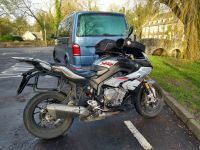 I have some good routes around the Cotswolds and over to Wales, though all in basecamp! I tend to avoid the A429 - one of the few roads with speed cameras. You can skip the short bit on the A429 if you join Welsh Way in Barnsley but it is a bit challenging due to the grass in the middle and inclines. A435 is the best bit and the B4077 is bonkers with lots of undulations and a long straight where you play Roe Deer Roulette as it passes through a wooded area where deer might run across the road.